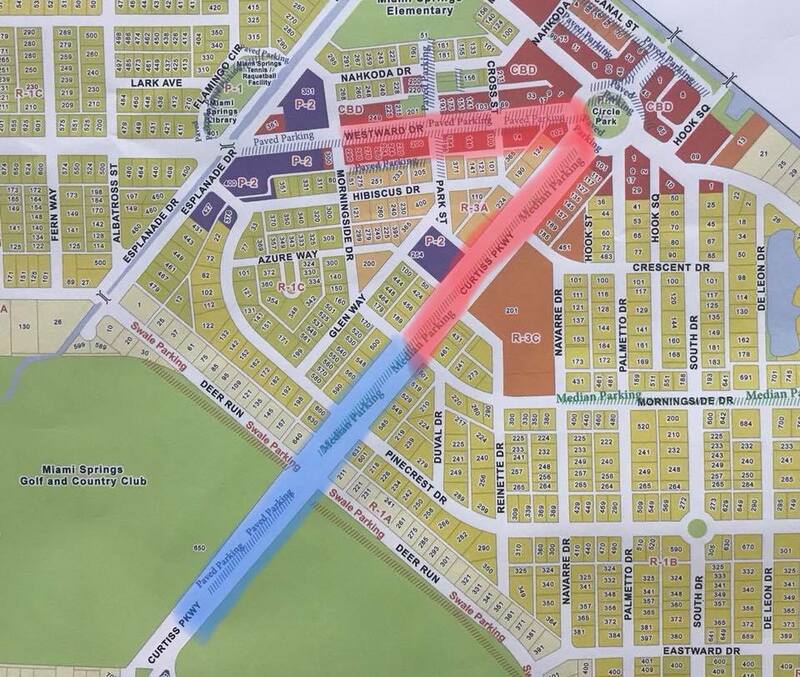 The shortened July 4th parade route has now been split up between designated dry and wet zones. The city of Miami Springs has issued a new Wet / Dry Parade route map. The Westward Drive business district and Circle are designated dry zones. Curtiss Parkway from the Circle to Morningside Drive will also be a designated dry zone. The city is not allowing water toys in the dry zone. The portion of Curtiss Parkway from Morningside Drive to the Golf Course will be the designated wet zone. No water balloons are allowed. Some residents expressed concerns that the limited wet zone would create a congested area in the already truncated parade route.